I’m on a squash kick right now, so this recipe was right up my alley. 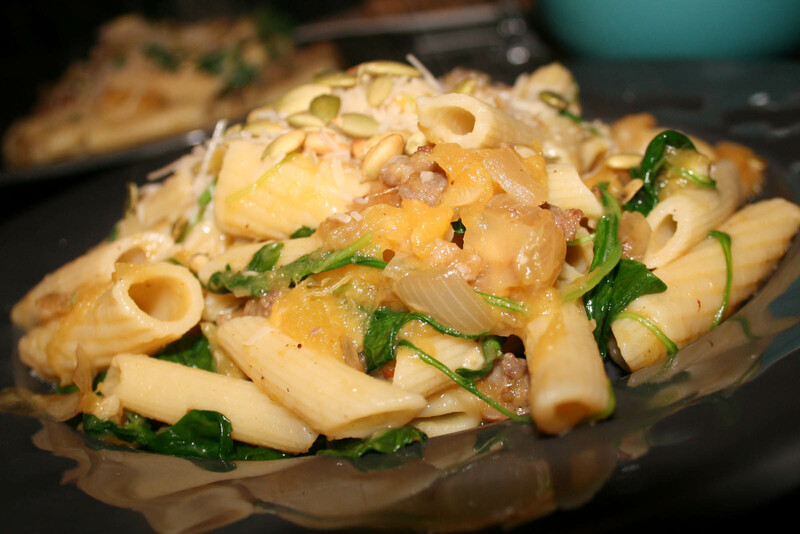 The acorn squash lends the rigatoni a subtle sweetness that is balanced by the savory flavors of the sausage and arugula; the toasted pumpkin seeds give it just enough nuttiness to round it out. I’ve seen recipes similar to this one all over then net, ours is adapted from Lesley Elliott’s recipe at Five O’Clock Food. 2. Arrange squash on a foil lined baking sheet, drizzle with olive oil and season with salt and pepper. Roast for 45 minutes or until tender. Once finished roasting, allow to cool, and cut into cubes. 3. Boil salted water for your rigatoni and cook to al dente. 4. While your water is boiling cook the Italian sausage in a medium sauté pan until browned, about 10 minutes, then transfer to a paper towel lined plate. 5. In the same pan add 1 tablespoon olive oil and onions. Once the onions are softened add the garlic and stir. Add the white wine and reduce until nearly gone. Then add the chicken broth and reduce until about 1/3 is left, this takes a while. While the broth is reducing stir the arugula into the drained pasta to allow it to wilt. 6. After the broth is reduced add the squash, chili pepper flakes, and sausage to the pan, stir, and remove from heat. Combine rigatoni and squash mixture. 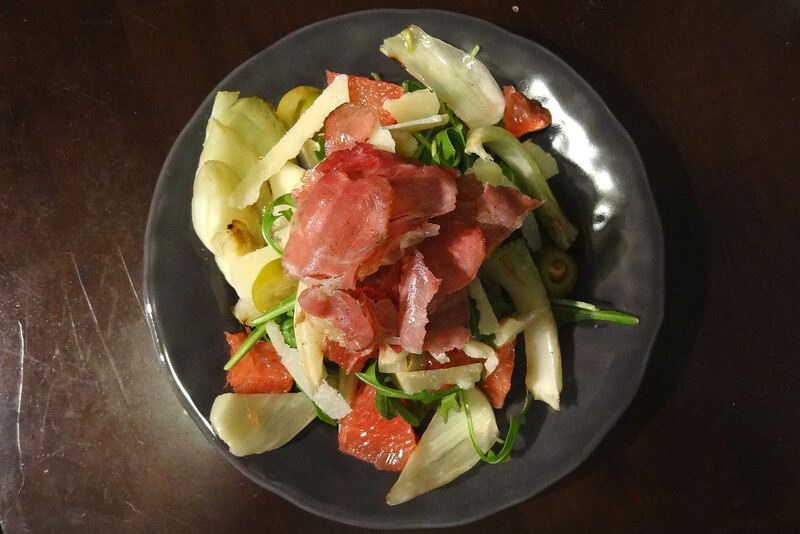 Serve up and garnish with toasted pumpkin seeds and grated parmesan. I even stirred in about 1/3 cup of parmesan before serving to make it extra cheesy. Notes: Next time I will omit the 4 cloves of minced garlic and I will roast an entire head of garlic with the squash and use some of that instead. Love roasted garlic, YUM! We probably should have had a salad with this one, but we decided on baked baby bellas instead. First of all, I am a total sucker for cookbooks, but if you’re also on a squash kick…get this book. It has so many amazing fall recipes!